how to use car door light switch? ok so i have added RGB led strips to my car with common +12v and i want to add foot light when the door is open. 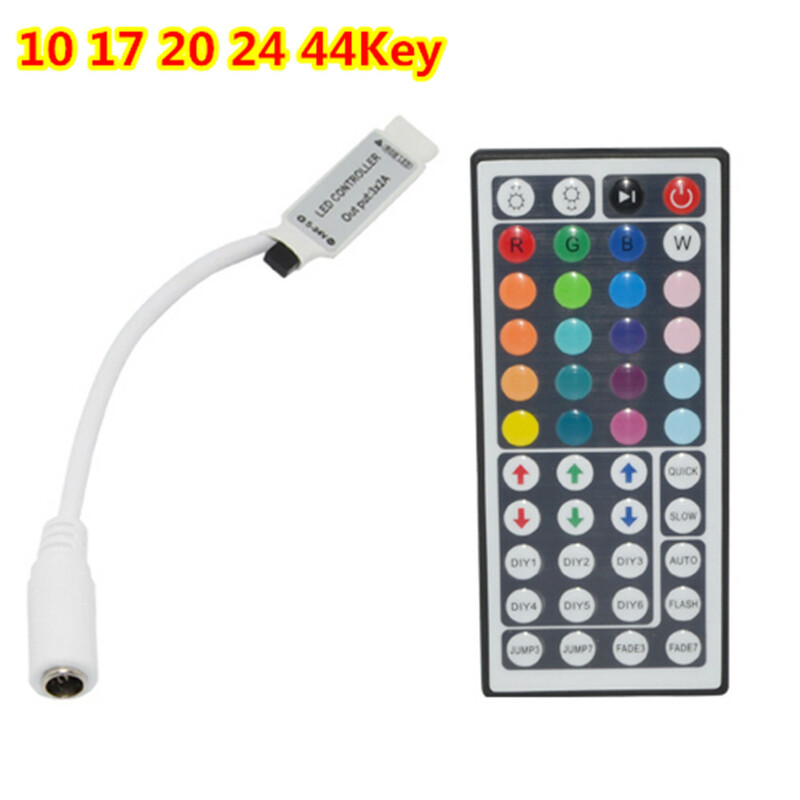 the door switch uses ground (-) my led strips have 3 (-) grounds one for each color and when certain color is selected the each have different resistance* (i think) so cant connect 3 wires to door switch. is there a way (beside using a relay) or a switch where i can use ground to turn on/off +12v wire? The only way I know how to do that is by using a PNP transistor with its emitter connected to +12V, and its collector connected to the positive side of your load, and the negative side of your load. Or, analogously, kind of the same but different, by using a P-channel MOSFET, with source connected to +12V, drain connected to the positive side of your load, etc. kind of sort of, offer some hints on using transistor as a switch. Oops. I think I forgot some words there. "...and the negative side of your load connected to ground." I do not see why you cannot connect together all three (or any one or two, leaving the others open) of the three, what you call "(-) grounds" of your RGB LED strips, and then connect that to the door switch, which I am assuming connects to the negative terminal of the battery. I mean, that puts the R, G, and B strings in parallel, but I do not see reason why they should not be in parallel. I am naively guessing these LED strings have some built-in, and appropriate sized, resistors, in series with each string. Basically I am guessing that the people who designed this RGB LED strip, were, vaguely speaking, um, trying to make things easy for you. I realize this is a lot of guesses. Also guessing that door switch closes, becomes conductive, when the door opens. Maybe I should draw you a picture of the way I am imagining this. That would probably make it more clear. If you want me to draw a picture (circuit diagram) of this, please reply, saying you want me to draw a picture of it. well since there is one positive and 3 negatives i guess the negatives set the color so if a connect all three negatives together i will have white color no matter what i set from the remote?! "becomes conductive, when the door opens." Uh, there's a remote? Maybe these RGB LED strips are more complicated than I thought. Here I was thinking that the three ground connections, that was the method by which the user chooses the LED strip's color. with one of those combinations being all off; i.e. darkness. So that's really 7 different "colors", plus "off". But it has a remote too? That is confusing to me. Is there some URL, somewhere you can point to on the web, for to tell us more info about these RGB LED strips? A manual would be nice, but just a like a product page, or a wiring diagram, or something. It is intended to be powered by a car's electrical system; i.e. 12 volts DC, nominal. It has four terminals: one for +12V, three for ground. It will maybe make pretty colors, when wired correctly? You can connect any combination of strip grounds that you eyes want colors to see.. In your place, I would add a color change every door open..